Many people are turning to "paleo" diets. Is olive oil part of this food trend? Is olive oil paleo? The answer is yes! Paleo diets focus on whole, unrefined foods. Extra virgin olive oil is a whole food made by pressing olives. No heat or solvents are used in the making of extra virgin olive oil. While our paleolithic ancestors probably did not eat olive oil, olive oil use goes back to the earliest human civilizations. Archaeologists have uncovered remains of olive presses, olive oil jugs and actual oil that are over 8,000 years old! Olive oil remains a staple of healthy diets, especially Mediterranean diets, to this day. 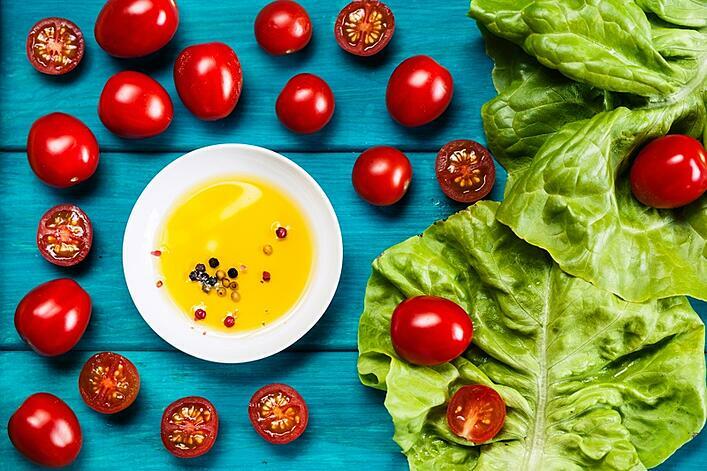 You can enjoy olive oil as part of a paleo diet by drizzling it over finished foods or cold foods. You can also cook with olive oil including sauteeing, pan frying, roasting, baking, grilling and deep frying. Olive oil holds up better to heating that many other fats and oils. Try this paleo friendly recipe for Tuna Braised in Olive Oil or watch our video below! To avoid oxidation, make sure to store your olive oil correctly. Do not let it spoil by exposing it to air, light or heat. To ensure the highest quality olive oil, look for the NAOOA Quality Seal when buying olive oil.